Mr. Tom Calderone and Ludacris, himself at the VH1 Hip Hop Honors Event, October 13th 2009. Not to mention the "too shea". 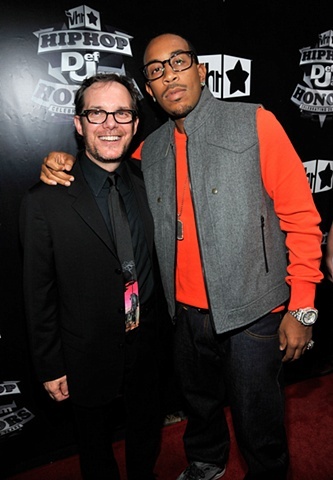 Tom Calderone, VH1 President, at the Hip Hop Honors concert October 13th 2009 with Ludacris. Again wearing a "too shea" design.